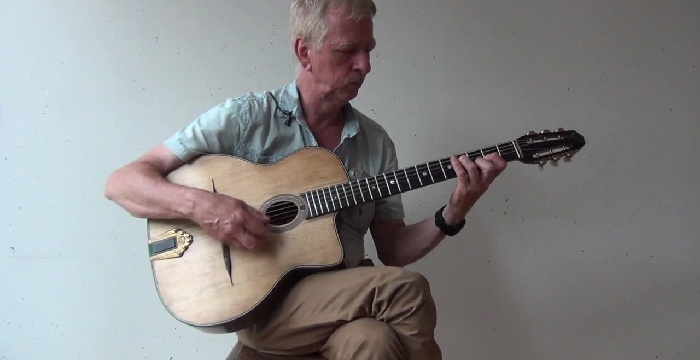 A deep dive into rhythmic guitar fills a la Django Reinhardt. Django Reinhardt wasn’t just a great guitar soloist. He was also a top-notch accompanist behind musical collaborators such as violinist Stéphane Grappelli. Django’s rhythmic fills were endlessly creative, tasteful and swinging. 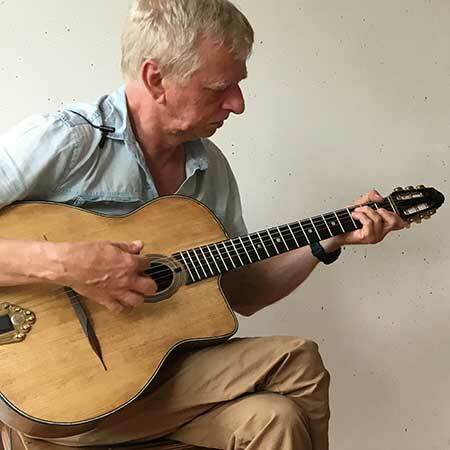 In this course, Django-style master Rino van Hooijdonk focuses fully on this style of playing fills. It’s somewhat of a lost art — not many people play like this anymore! 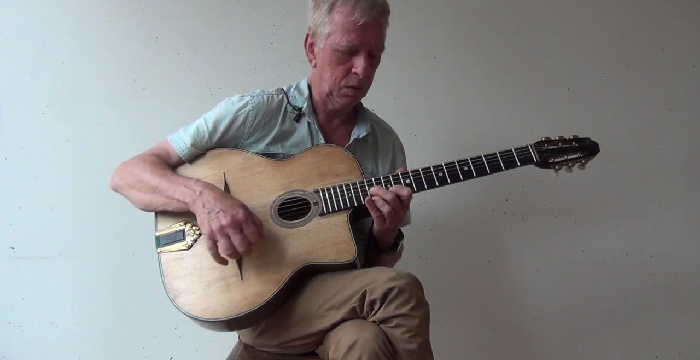 If you know gypsy jazz, you know Rino as one of the most authentic guitarists in the “classic” style. If you don’t know him yet, prepare to be amazed. This is Rino’s first-ever instructional course, and (to our knowledge) it’s the first time an instructional course has focused solely on this oft-overlooked yet crucial aspect of Django’s playing. This course is a gold mine of material. The core of it is 27 performance videos: 20 with violin and rhythm guitar, three duets with violin, three solo guitar performances and a beautiful duet with a vocalist. Beyond the performances, the course includes twelve videos with Rino showing assorted tips and tricks. Finally, we’ve included three bonus videos, with Rino talking about his approach to rhythm and telling the story of how he got started in this style by cycling to the gypsy camps in Holland. Every note Rino plays is transcribed in tablature and standard notation, so you can follow along clearly and learn as efficiently and effectively as possible. Slow down the video without changing pitch, and drag your cursor across the notation to loop sections you want to practice. There’s easily several months’ worth of study material in here — all for less than the price of a private lesson (which, frankly, wouldn’t be as comprehensive as this). Enjoy this rich collection and get ready to grow your Django-style vocabulary significantly. Rhythm guitar: Nick Sansone. Violin and vocals: Joanna Gardner. Produced by Nick Sansone and Adrian Holovaty.